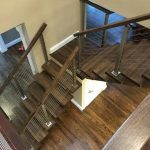 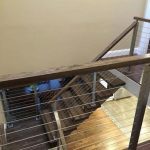 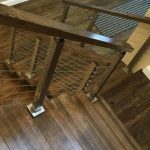 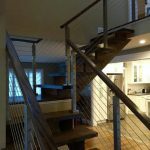 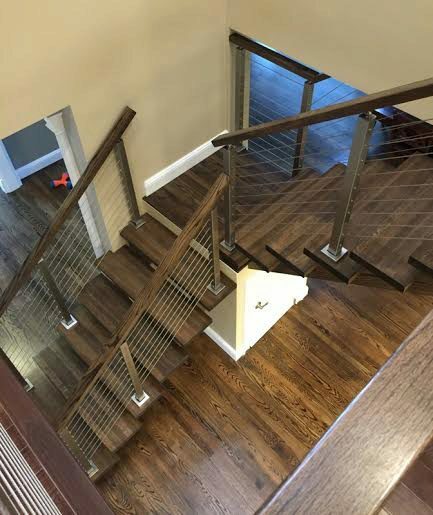 This customer placed thick stair treads and cable railing on a floating stair system to achieve the ultimate modern design. 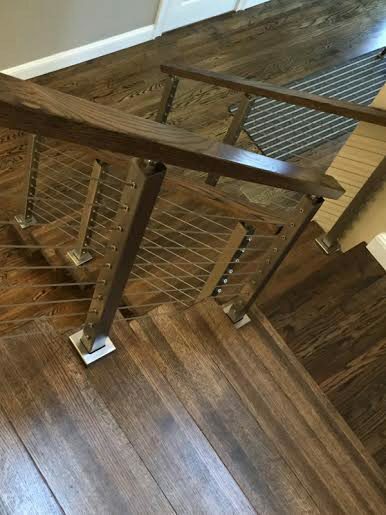 For this customer, 2″ Thick Treads were perfect for this dual stringer application. 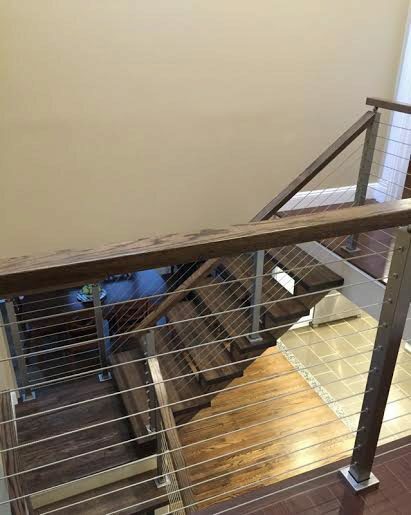 In addition, the wood handrail on the stainless steel cable railing posts was stained to match the treads. 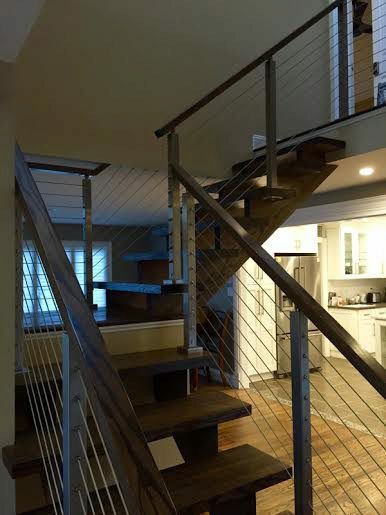 Altogether, the stainless steel is an eye-catching railing against the dark wood. 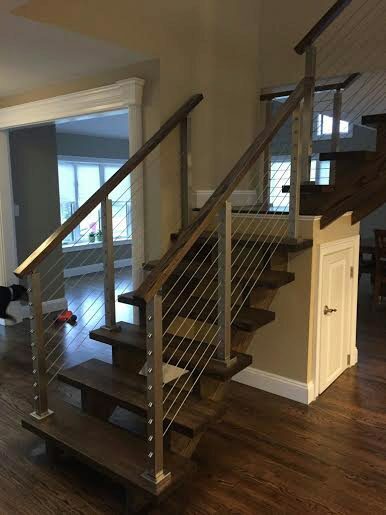 This creates a beautiful, alluring staircase that these customers and their guests will love.